Last week, Public Health England said 6 million middle-aged adults in England take less than 10 minutes’ brisk exercise a month, risking their health. But when does the problem start? It seems the answer is “very young”. Last year, a damning international study portrayed British children as among the least active in the world. Despite government guidelines urging parents to ensure their offspring do at least an hour of moderate-intensity exercise every day, compared with 38 other nations including Venezuela and Slovenia, England and Wales are currently third-worst in the list – with Scotland at the bottom. Only 22% of boys aged 11 to 15 manage the recommended amounts of daily exercise, and just 15% of girls. But while active childhoods can have many obvious short-term benefits, including reducing the rates of obesity – the latest figures suggest that nearly 20% of 10- to 11-year-olds in England are obese – the little we know of the long-term benefits point towards exercise being even more crucial than we might already assume. Denmark and Sweden, which have long been interested in the link between childhood physical activity and achievements in later life, have markedly less prevalence of metabolic-related conditions in children. Researchers examined a database containing the fitness records of 1.2 million Swedish men born between 1950 and 1976, on entry into military service at 18. They then traced their subsequent progress through life, and found that cardiovascular fitness appeared to be predictive of cognition in middle age. In other words, the more exercise they had done during adolescence, the more likely they were to be successful professionally. Neuroscientists believe there are a number of reasons for this. Studies show that doing enough physical activity to improve cardiorespiratory fitness in childhood is directly related to the structure and function of the developing brain, especially regions such as the hippocampus, which is involved in memory, and the prefrontal cortex, which does not complete its formation until your early 20s. These benefits can be observed in MRI scans showing the blood flow to various parts of the brain, and the levels of a variety of chemicals involved in the strength and health of neurons. The data available suggests the neuroprotective qualities of exercise are present throughout life, with individuals in their 60s and 70s who exercise having a lower risk factor of developing Alzheimer’s disease. As such, scientists believe that one of the lasting benefits of exercising early in life is actually psychological. But one of the most fascinating, and newly discovered benefits of childhood exercise is one hidden inside our skeletons. 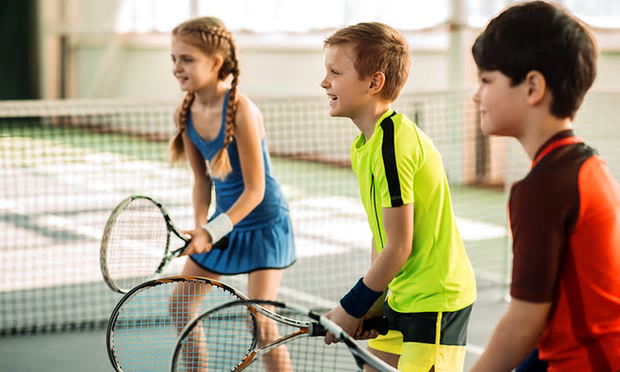 Studies have found that bones retain a “memory” of early-life exercise before the onset of puberty that lasts long after the exercise has ceased, and provides health benefits even in a relatively sedentary adulthood. As well as making those individuals less prone in later life to bone diseases such as osteoporosis, these changes also have implications on the way food is processed, in particular, high-fat diets. Our bones are far more involved in energy metabolism than we might think, and the gene expression changes induced by early-life exercise affect a variety of pathways that alter the body’s inflammatory response to a high-calorie diet. These changes are retained in the bone marrow into adulthood, making those children less susceptible to inflammatory-related diseases such as diabetes and cancer when adult.